Alaska: Exxon Mobil Ordered to Pay $507.5 Million for Exxon Valdez Oil Spill - Exxon Mobil Corporation (NYSE: XOM) was ordered to pay $507.5 million in punitive damages for its 1989 Exxon Valdez oil spill in Alaska, according to reports Monday. The settlement determined by 9th U.S. Circuit Court of Appeals in San Francisco on Monday is consistent with the figure set by the U.S. Supreme Court last year. The court also said that Exxon and the plaintiffs were responsible for their respective legal fees. The payment will also include 5.9% interest payment accrued since 1996. Plaintiffs were originally awarded $5 billion, but that amount was severely decreased after subsequent appeals by Exxon. Exxon Mobil Corporation insisted that the interest payments begin in 2008 after the Supreme Court ruling and also believed that plaintiffs should pay 90% of the company's legal fees. Exxon has paid over $70 million in legal fees, according to the Wall Street Journal. In a prepared statement U.S. Senator Lisa Murkowski (R-AK) said, "I am gratified by the Ninth U.S. 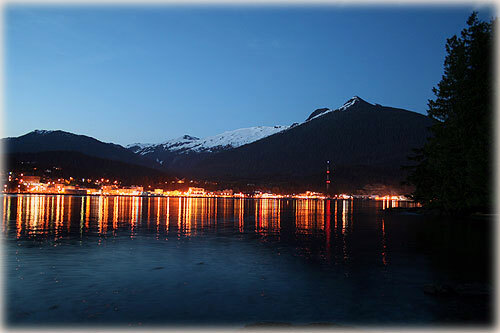 Circuit Court of Appeals decision to award interest to the plaintiffs of the Exxon Valdez oil spill. While I am still extremely disappointed in the Supreme Court's decision to reduce the punitive damage award, it is my hope that the interest will help the victims of the worst environmental disaster in U.S. history recover a small part of their losses and not allow 13 years of appeals to deprive them of any more justice." National: Congress close to giving FDA approval to regulate tobacco as drug By MICHAEL COLLINS - It has taken years, but the U.S. Food and Drug Administration appears on the verge of getting Congress' approval to regulate cigarettes and other tobacco products as drugs. The Senate is expected to vote as early as this week on a measure that would let the FDA regulate or even ban chemicals that are put in cigarettes, require larger warning labels on tobacco products. and place tougher restrictions on tobacco advertising. The House has already approved its version of the bill. President Obama, a smoker who has talked publicly about his struggle to quit, has said he would sign the legislation into law. Supporters say giving the FDA the authority to regulate tobacco is necessary to stop manufacturers from using additives that make cigarettes more addictive and to keep them from marketing their deadly products to children. Ketchikan: University Collaborates with High School to Provide Student Science Cruise - Students from the marine biology classes and the maritime class at Ketchikan High School participated in a science cruise on the F/V Jack Cotant on May 7, 2009. 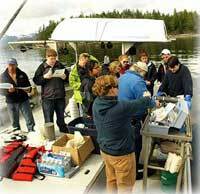 High school teachers Julie Landwehr and Rick Collins worked with UAS staff Barbara Morgan, UAF Marine Advisory Program Agent Gary Freitag and UAS Fisheries Technology student Jessica Davila to give these students hands-on experience in oceanographic data collection. Thank you to Wayne Kinunen, who also participated, for pioneering the way with many past oceanographic field trips on the F/V Jack Cotant. During the science cruise, a variety of scientific tests and procedures were conducted. Students practiced taking physical and chemical water quality tests including pH, temperature, dissolved oxygen and salinity. Students did phytoplankton and zooplankton tows and identified the species they found. They also used Van Dorn bottles to practice taking a water sample from depth and took a bottom sediment sample. The cruise gave the Maritime students a chance to learn boating skills. The science cruise increased student interest and enhance learning. As one student said, "I thought it was really cool that I learned about the item, then we used it in the water and I got to see it firsthand. The trip was really nice. It made me really thing about all the jobs out there and taking a marine class would be really cool." And in the words of another student, "I think it was a great trip and a great experience! I think we should totally do it again!" Alaska: Bering Sea flights prove viability of university's unmanned aircraft - Researchers can chalk up another accomplishment for the University of Alaska's Unmanned Aircraft Program. Based on the seal-observing performance of the program's 40-pound ScanEagles, researchers have learned the aircraft can operate in snow and light icing conditions. This feat enhances the viability of the technology, which has proven useful flying through smoke and fog during previous scientific flights. A ribbon seal hauled out on sea ice. The university's unmanned aircraft captured this image during a mission in the central Bering Sea on June 6, 2009. The latest mission coupled University of Alaska staff with scientists from the National Oceanic and Atmospheric Administration. The unmanned aircraft was launched and flown repeatedly from NOAA's ship, McArthur II, over a series of 30 days in the central Bering Sea. "We have 42 hours of good flights behind us on this cruise," said Greg Walker, manager of the University of Alaska Unmanned Aircraft Program. "I think we have proven the technology meets or exceeds the NOAA expectations for performance and the ability to capture the information they're seeking." National: Anti-microbial use in cattle, pigs raises questions By STACY FINZ - Conventional cattle ranchers, and pig and chicken farmers, routinely feed their animals a steady diet of antibiotics to prevent illness and help them grow fatter faster. But as some consumers become more obsessed with what they eat, including a hunger for meat and chicken raised naturally, without drugs, more producers are promoting their products as antibiotic free.